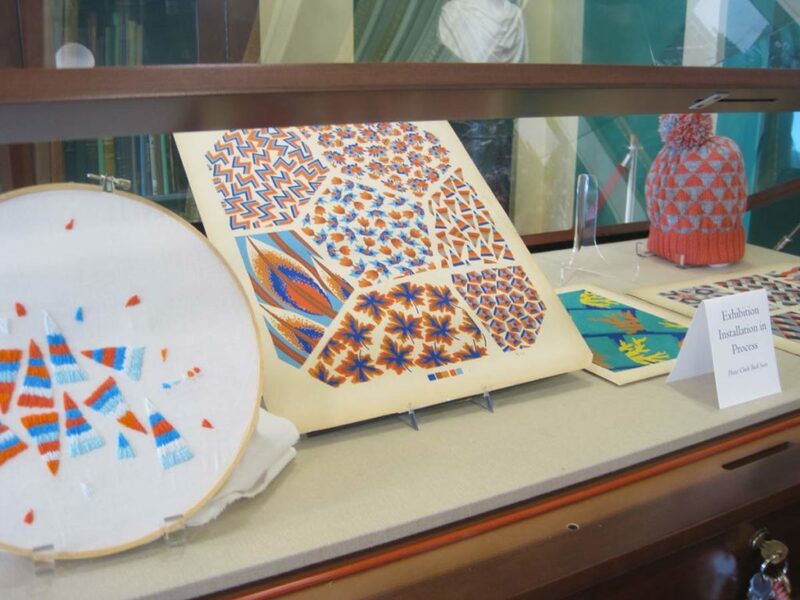 Iterations was an exhibit on display during the summer of 2015, featuring 20th century pochoir-printed pattern books alongside modern creations by local artists. 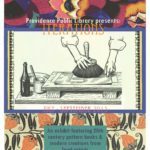 Pochoir is a many-layered stenciling process that produces extremely vivid and dimensional prints; it was particularly popular in late 19th and early 20th century Paris, and was used for fashion plates, interior design illustrations, architectural prints, and pattern and motif books like the ones featured in Iterations. 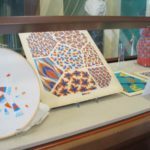 Pattern books were intended for use by artists and designers as inspiration for wallpaper, textiles, and other decor. 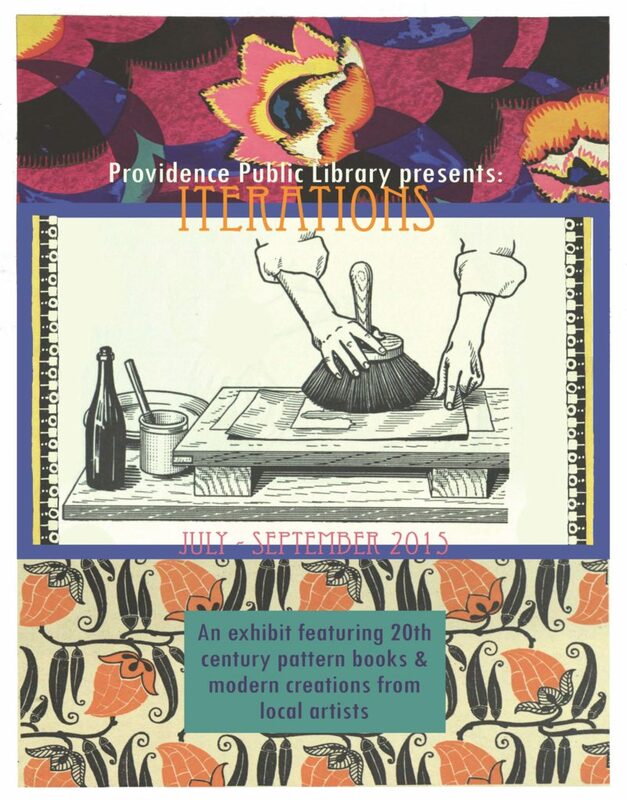 In that spirit, we invited Rhode Island artists to view the pattern books and use them as inspiration for new work created just for the exhibit. Participating artists included Chelsea Gunn, Taylor Polites, Caitlin Cali, Rebecca Volynsky, Lois Harada, Hope Anderson, Beth Brandon, Xander Marro, and Elizabeth Novak.